The LHC is currently in shutdown in preparation for the next physics run in 2015. However the record breaking accelerator is danger is falling far behind schedule as the engineers struggle with technical difficulties 100m below ground level. The LHC tunnels house the 27km long particle accelerator in carefully controlled conditions. When the beams circulate they must be kept colder than anywhere else in the solar system, and with a vacuum more empty the voids of outer space. Any disruption to the cryogenic cooling systems or the vacuum systems can place serious strain on the operations timetable, and engineers have found signs of severe damage. 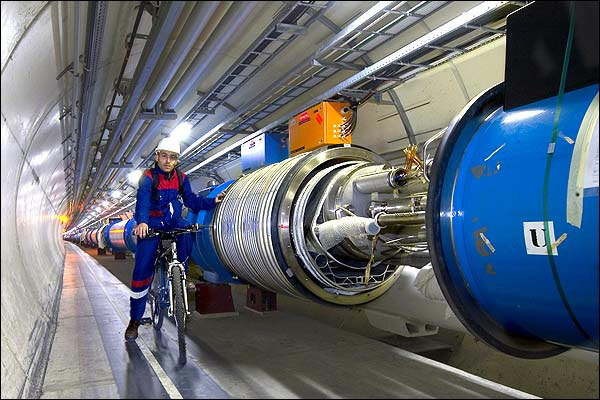 Scientists patrol the LHC, inspecting the damaged areas.